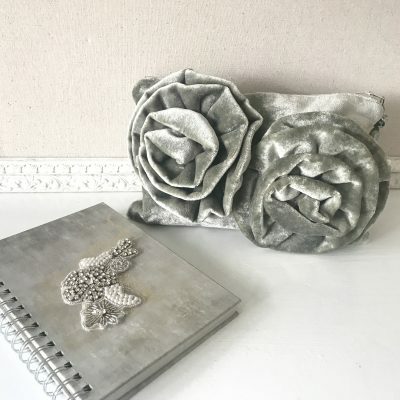 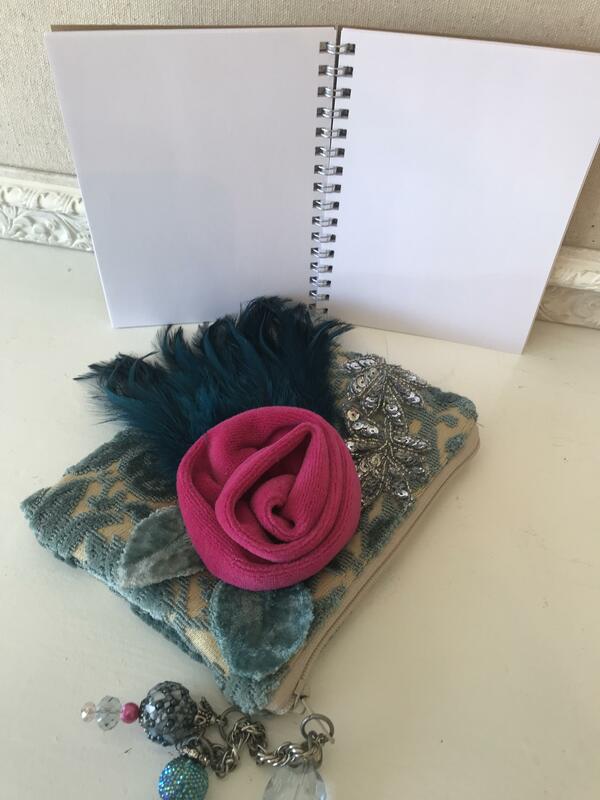 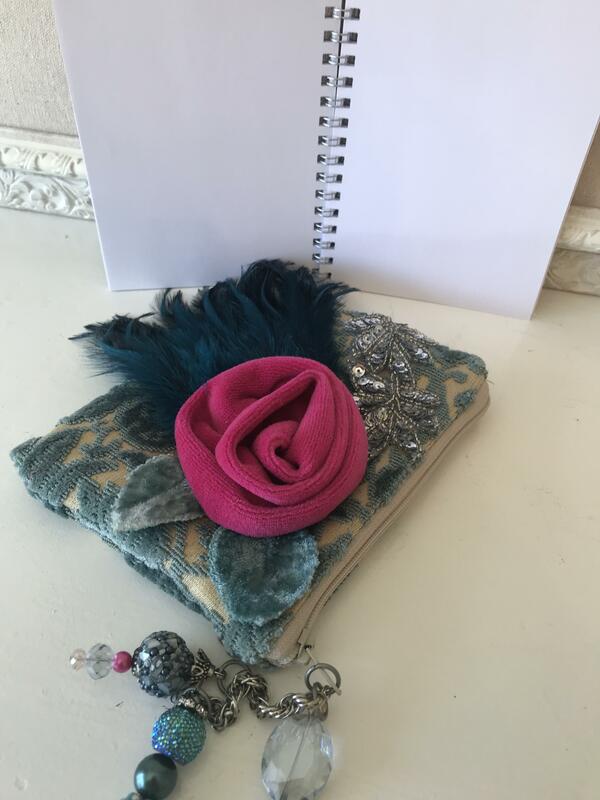 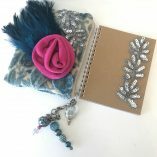 Beautiful Little One of a kind Journal Gift Set. 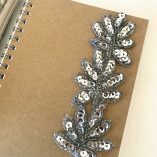 Great for Bridal Party Gifts or Mother of the Groom. 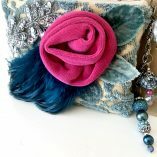 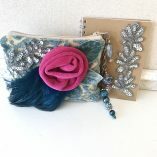 Comes with a Zip Case made in blue cut velvet tapestry fabric, lined in gold soft tweed. 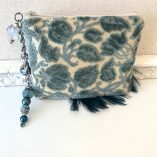 This little zip case is 6 x 5″. 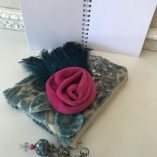 Decorated with a hand rolled flower and turquoise feathers. 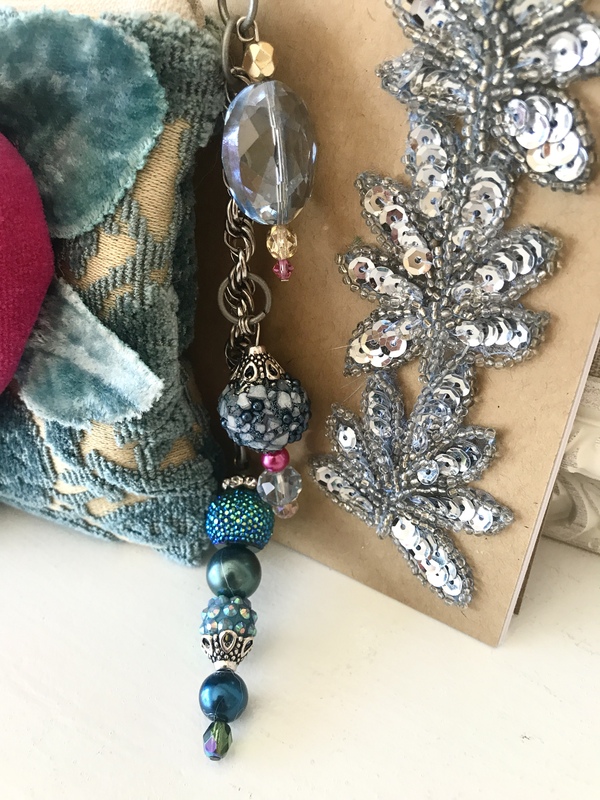 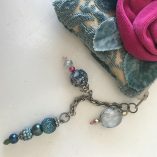 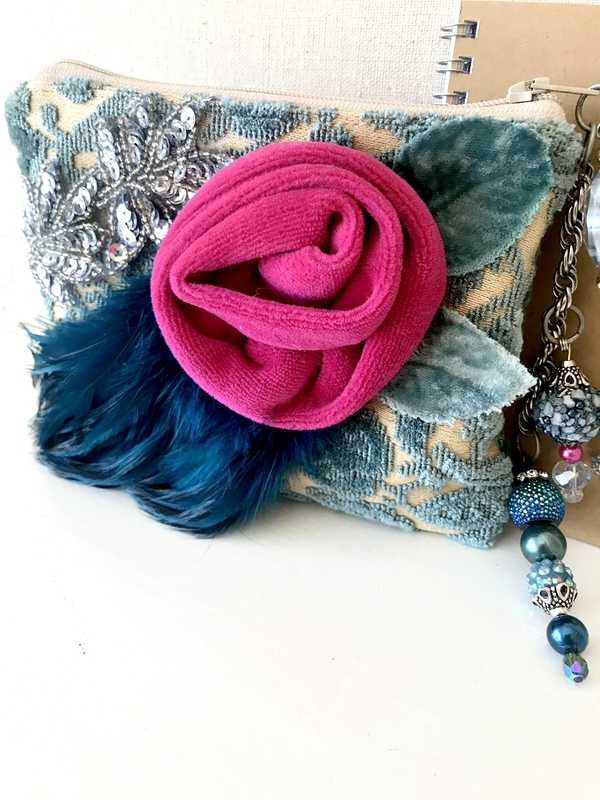 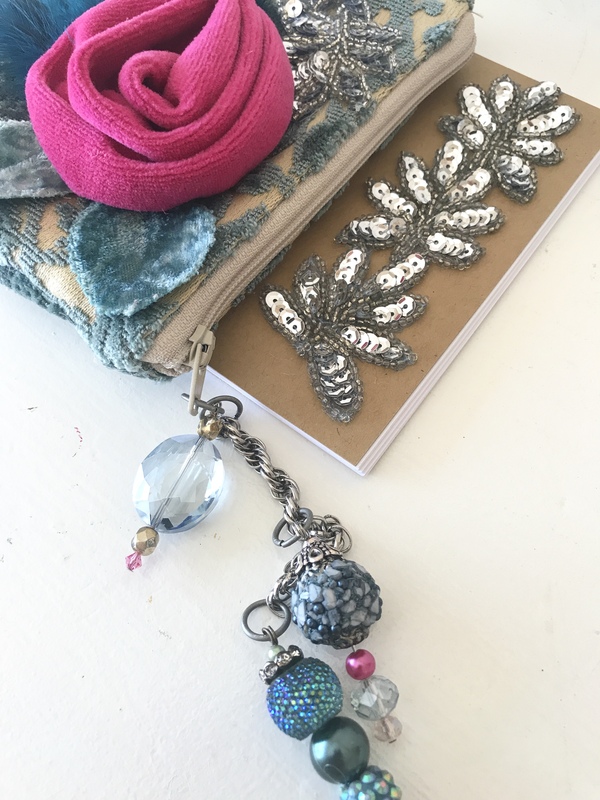 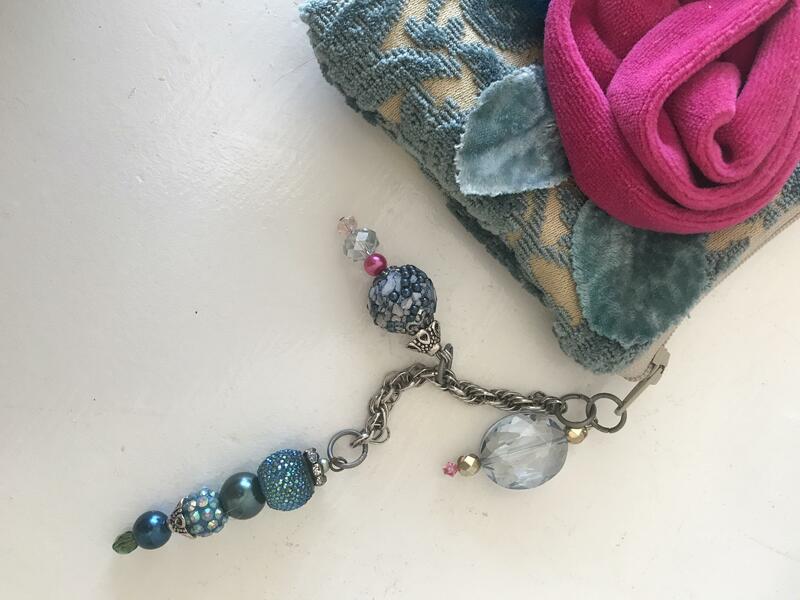 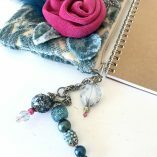 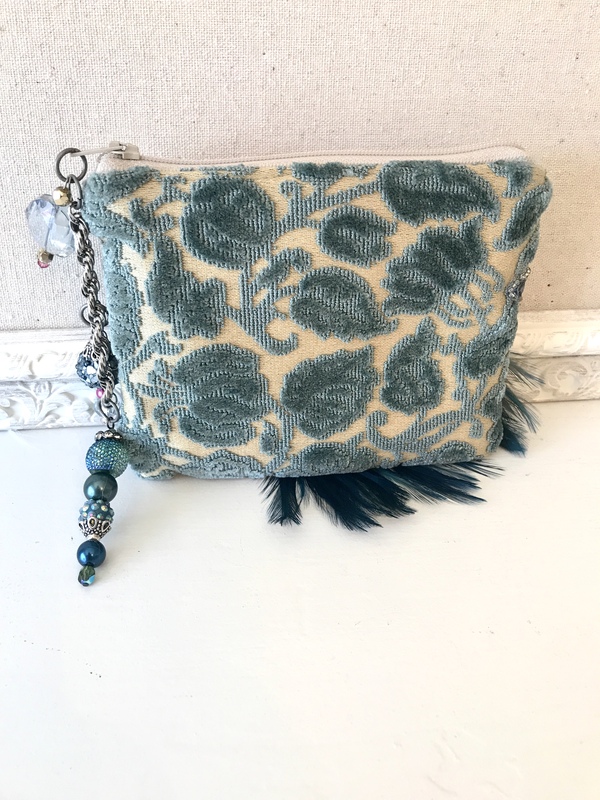 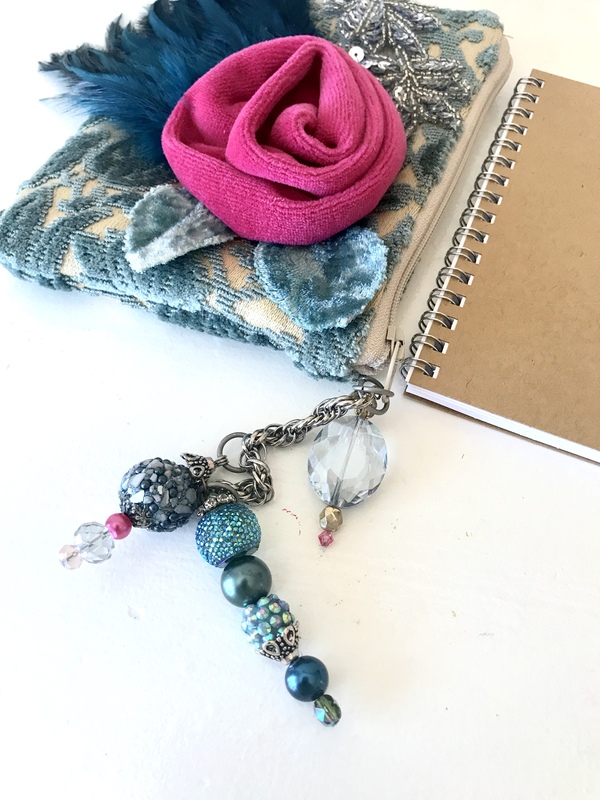 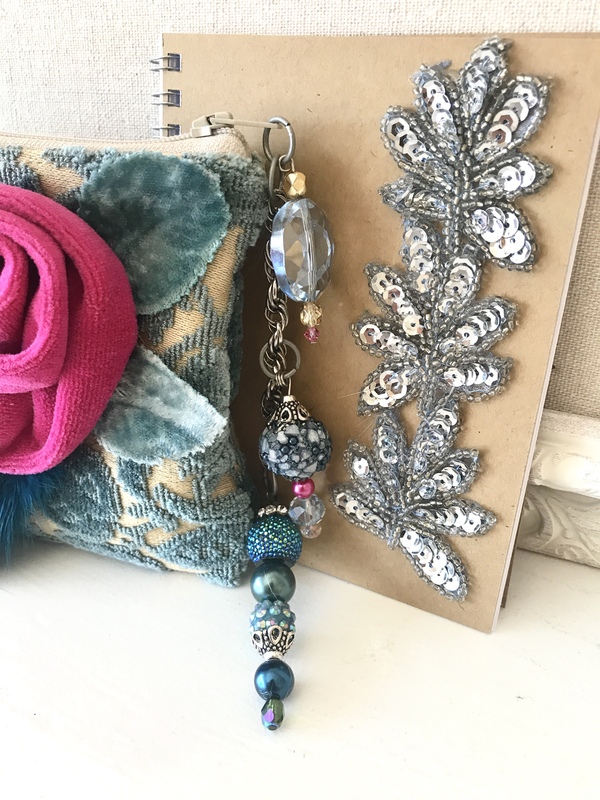 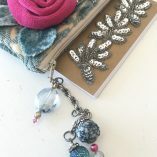 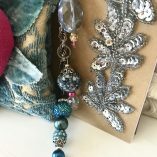 Handmade zipper pull with assorted sparkly beads gives a feminine finishing touch! 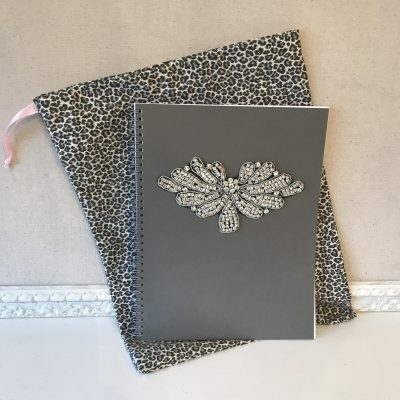 Little Matching Notebook in Kraft Brown is 5.5 x 4″ with black pages. 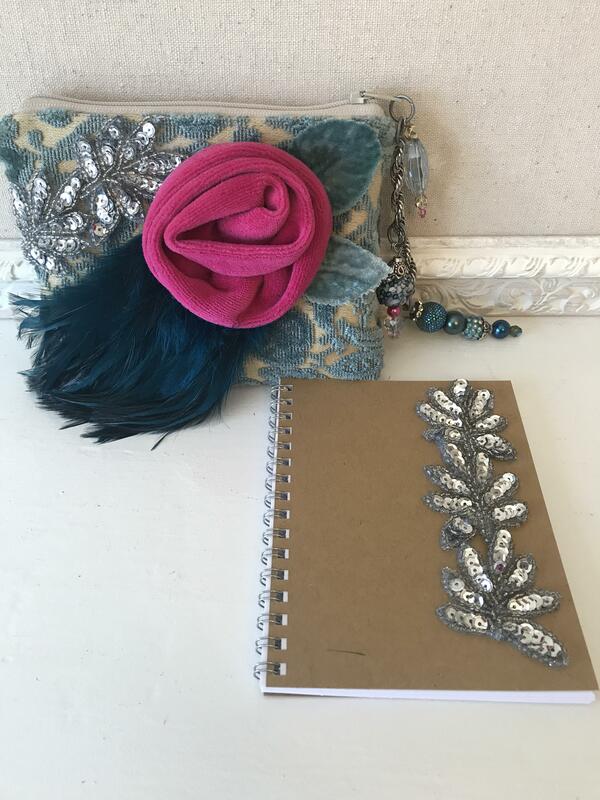 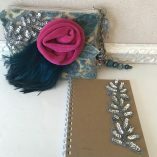 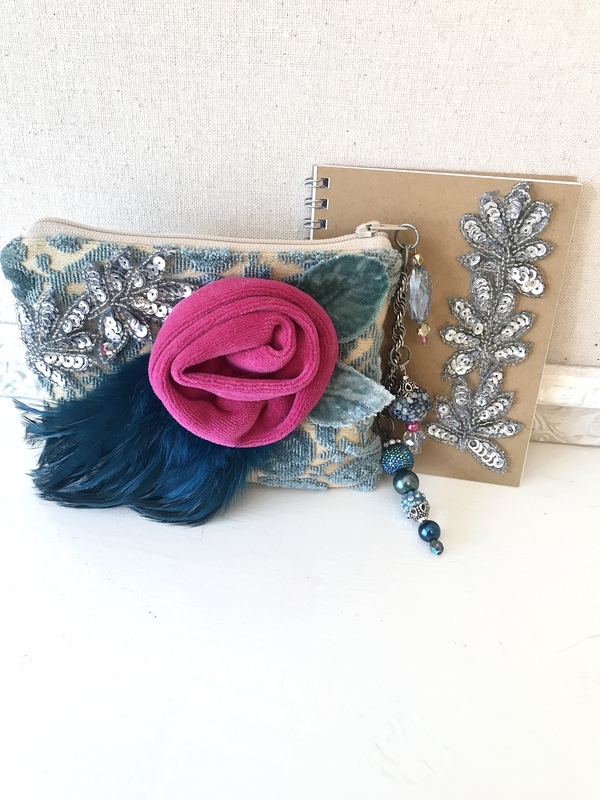 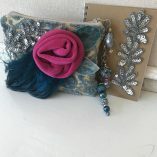 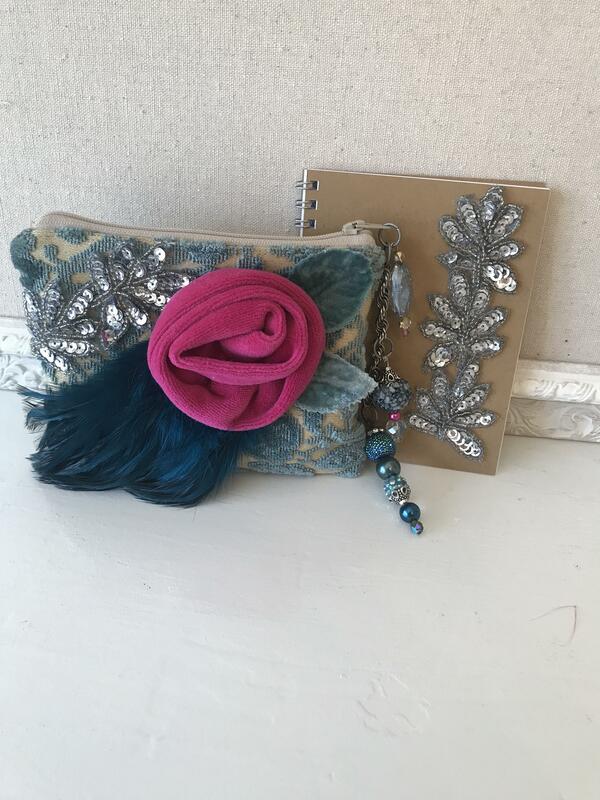 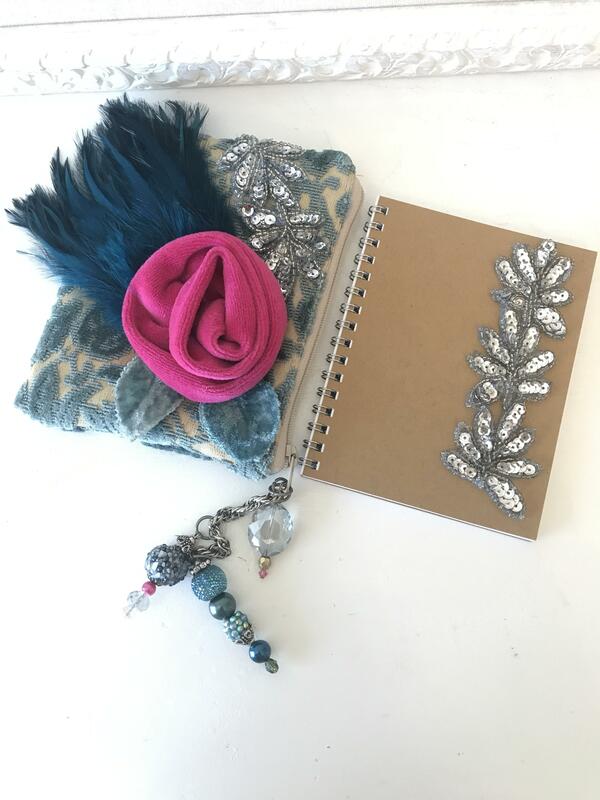 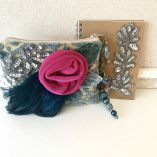 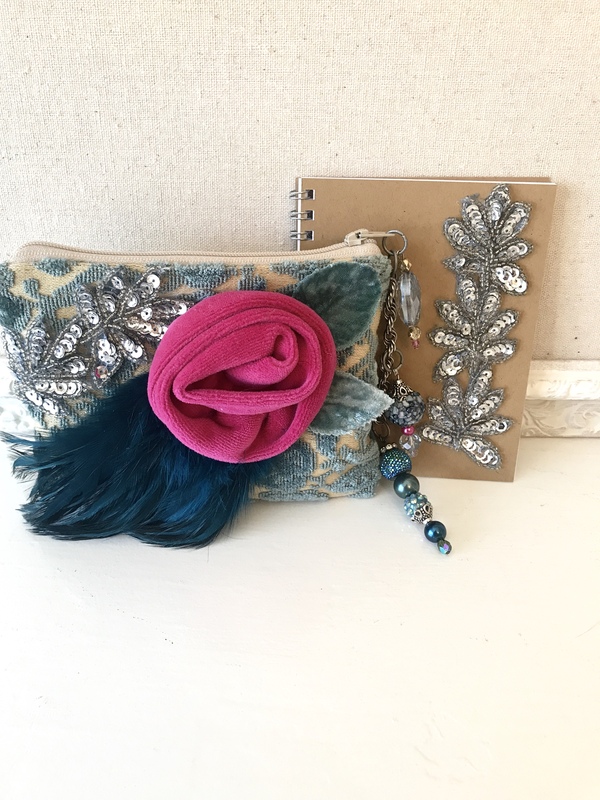 The notebook and zip case both have matching icy blue sequin appliqué. 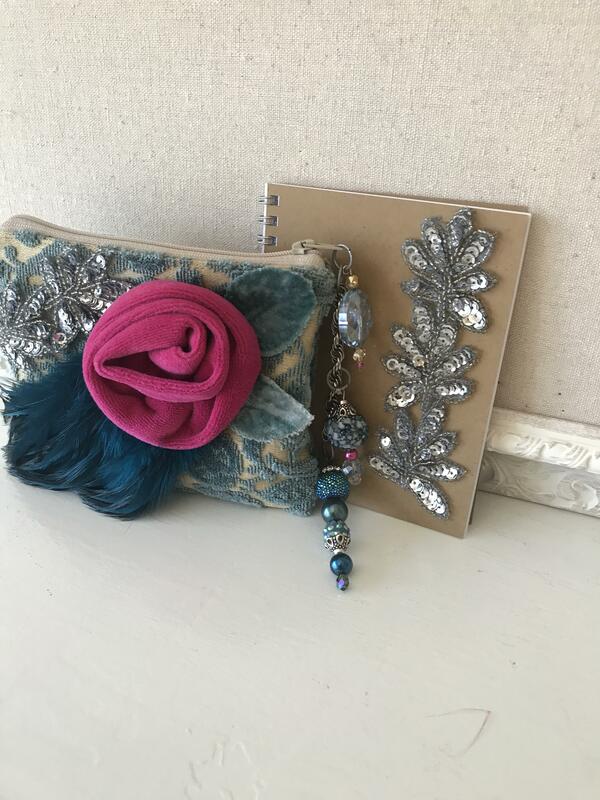 This set compliments each other and makes a beautiful thoughtful one of a kind gift. 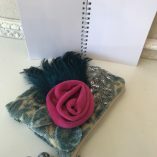 Comes beautifully wrapped in clear packaging with a pink ribbon. 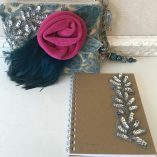 The notebook does not fit inside the zip case, they are both aprox the same size. 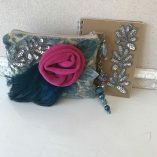 The are meant to be side by side. 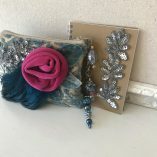 In stock, ships immediately or within 1-2 business days.This gift set CAN be shipped directly to your recipient. 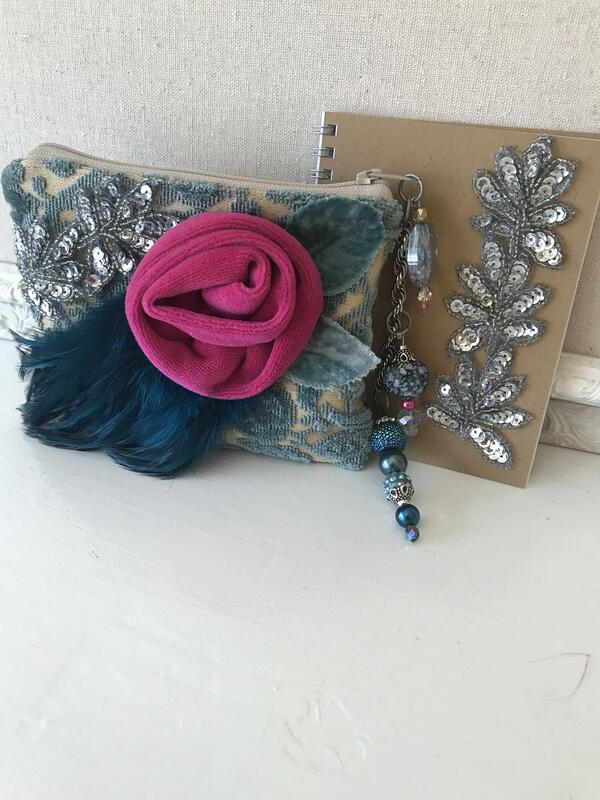 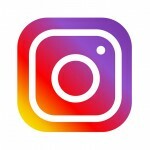 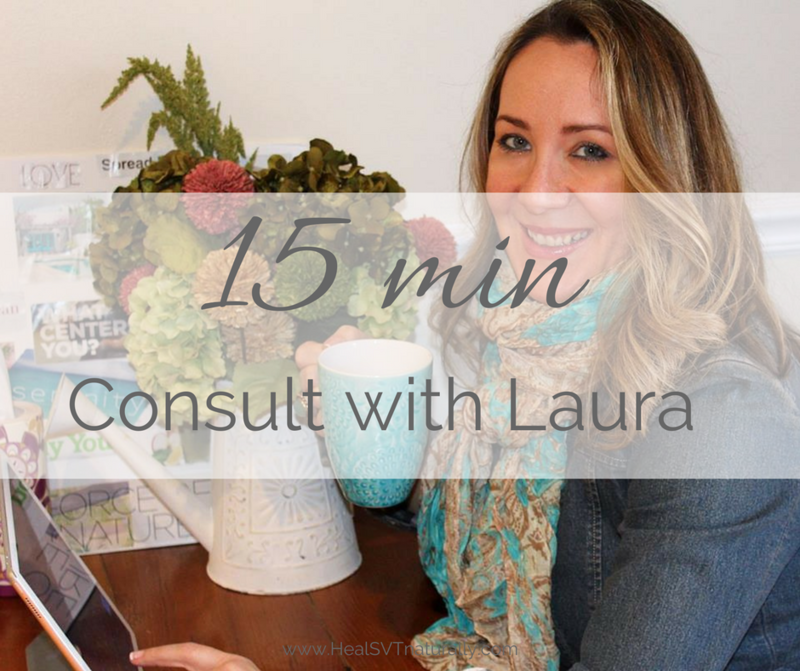 A Gift card can be enclosed with your own message. 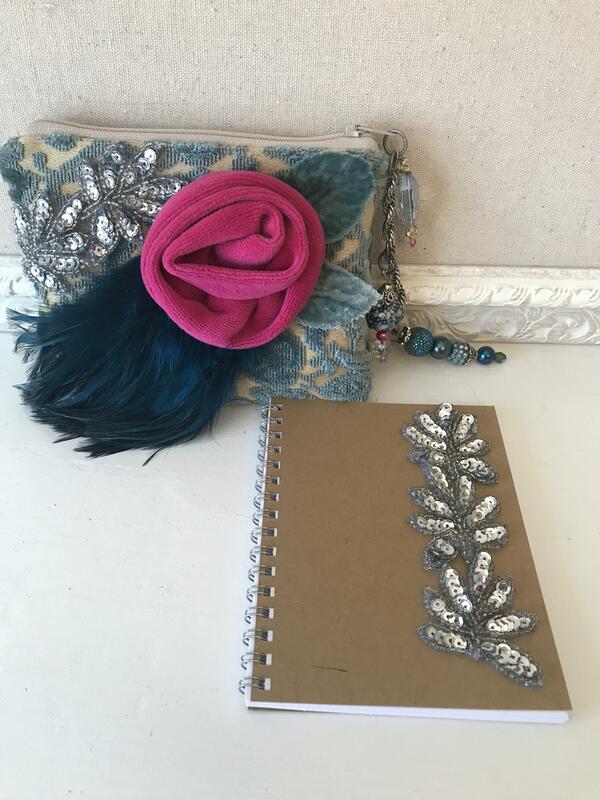 Please convo us what you would like the card to say.68. 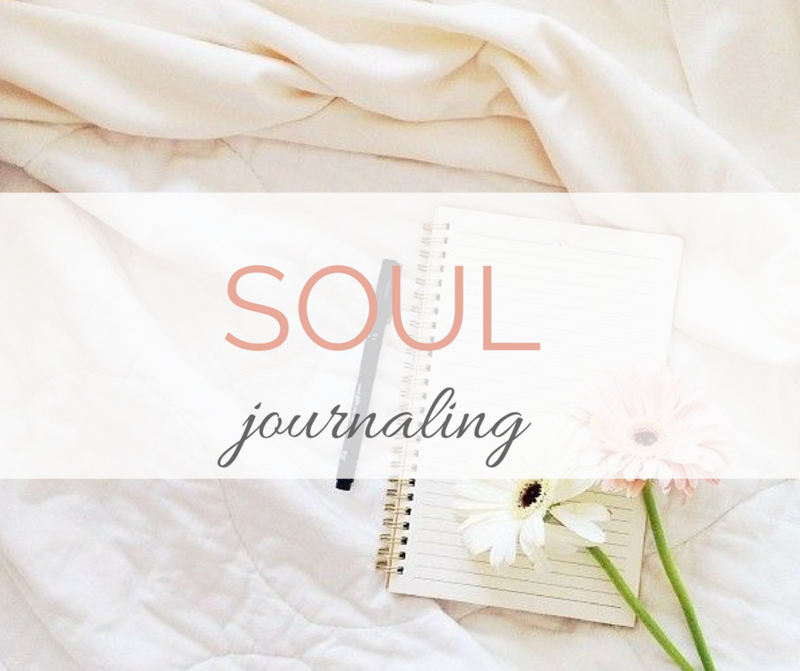 Category: Journals. 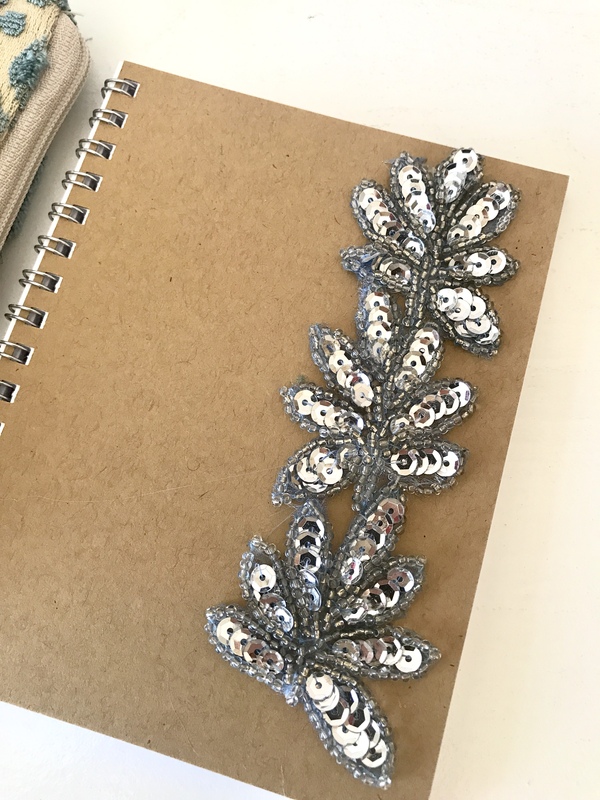 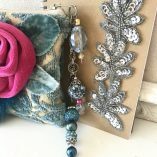 Tags: bridal party gifts, journal gift sets, Journaling, journaling for healing, Journals, mother of the groom gift, one of a kind gifts, pretty journals, self-healing tools.